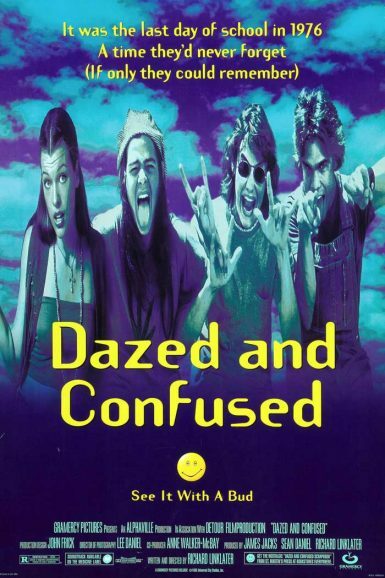 Perhaps the greatest hang out movie of all time, Dazed & Confused was a breakthrough hit for director Richard Linklater after the indie success of Slacker. This coming-of-age ensemble comedy set on the last day of school 1976 is a retrofit nostalgia trip, managing to define not just that bicentennial summer, but the timeless experience of high school itself. Featuring early roles for Ben Affleck, Parker Posey, Adam Goldberg and Joey Lauren Adams, this stoner timepiece remains essential teenage viewing and is a fitting tribute to the worst greatest years of your life. Marc Edward Heuck discusses Dazed and Confused on the New Beverly blog. The December 1993 issue of Film Threat dedicated its cover to Dazed and Confused. Read the story on the New Beverly blog.